Here you can practice Online English Literacy by reading poems that rhyme. 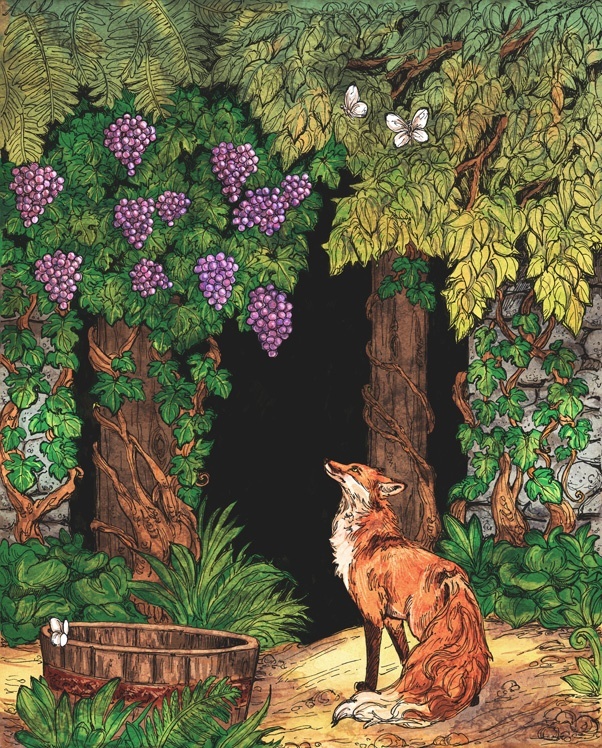 Shown below is an original, contemporary retelling of two of Aesop's Fox Fables, in the form of rhyming verse. Which words do not really appear in English dictionaries? Can you determine the moral of each story without looking? Scroll down for links to more poems and stories. happily holding a mouse in her beak. "So lovely and fine are your shiny black feathers! Your ample breast is puffed with glory! but this is a children's story. in keeping with your stunning features. as Queen of Charming Creatures!" with pride, satisfaction, and passionate mirth. from her beak, and fell to earth. and quietly enjoyed his snack. but the fox did not come back. Moral: Never trust a flatterer. treats and make them mine!" and landed with a thump. Again, the fox leaped in the air. Moral: It is wise to stop wanting what we know we cannot have. SHORT STORIES for improving Online English Literacy. AESOP'S RHYMES - More from Aesop's Fables reworked into contemporary rhyming verse. POEMS FROM EVERY STATE Improve Online English Literacy by reading poems about the state you live in. This collection really capture the mood of geographically themed poetry.